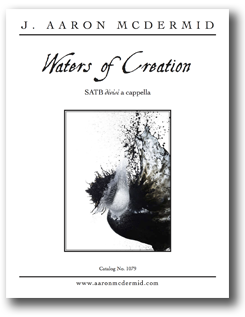 Waters of Creation » J. Aaron McDermid, D.M.A. from the brightness of night’s death. channel to a life made new. ever new and ever old. quench the thirst and flood the soul. drench our dryness, make us whole.